Already own this video? Login to your account to view. | Having trouble viewing your newly purchased video? Click here. In this video - What Pat Looks For In A Putting Stroke And What To Do If Things Go Awry. This Includes How To Prevent Or Cure The Dreaded Yips. Pat O’Brien has been a leader in the field of tour level putting instruction and fitting for almost 20 years. Since 2007, Pat has been the Director of Instruction at the prestigious Lakewood Country Club in Dallas, Texas. Pat is recognized as one of the top putting instructors in the world. His dedicated putting work with Zach Johnson and Vaughn Taylor on the mini tours starting in the early 2000’s, is legendary. He helped propel Vaughn Taylor to a Ryder Cup appearance in 2006 and a PGA career that includes 3 PGA Tour titles and is still going strong. His dedicated work with Zach Johnson for nearly 10 years helped Zach build a long term putting foundation for his game. Known as one of the great clutch putters of all time, Zach has become one of the best players of his generation, on track for the Hall of Fame, with 12 PGA Tour Titles, 2 Major Championships (including the 2007 Masters and 2015 Open Championship), and 9 USA Cup teams (5 Ryder Cups, 4 President’s Cups). Pat’s students have also won the Players Championship (KJ Choi) and the US Amateur (Kelly Kraft), as well as numerous other Professional and Amateur events. Pat has been rated as one of the Best Teachers in Texas by Golf Digest for the last 10 years. Pat loves helping golfers of all ages and skill levels improve. 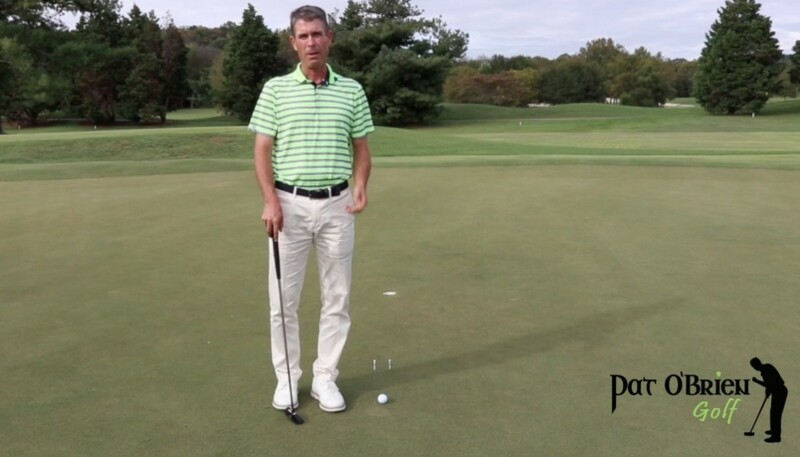 In this video - What Pat Looks For In A Putting Stroke And What To Do If Things Go Awry. This Includes How To Prevent Or Cure The Dreaded Yips. Pat O’Brien has been a leader in the field of tour level putting instruction and fitting for almost 20 years. Since 2007, Pat has been the Director of Instruction at the prestigious Lakewood Country Club in Dallas, Texas. Pat is recognized as one of the top putting instructors in the world. His dedicated putting work with Zach Johnson and Vaughn Taylor on the mini tours starting in the early 2000’s, is legendary. He helped propel Vaughn Taylor to a Ryder Cup appearance in 2006 and a PGA career that includes 3 PGA Tour titles and is still going strong. His dedicated work with Zach Johnson for nearly 10 years helped Zach build a long term putting foundation for his game. Known as one of the great clutch putters of all time, Zach has become one of the best players of his generation, on track for the Hall of Fame, with 12 PGA Tour Titles, 2 Major Championships (including the 2007 Masters and 2015 Open Championship), and 9 USA Cup teams (5 Ryder Cups, 4 President’s Cups). Pat’s students have also won the Players Championship (KJ Choi) and the US Amateur (Kelly Kraft), as well as numerous other Professional and Amateur events. Pat has been rated as one of the Best Teachers in Texas by Golf Digest for the last 10 years. Pat loves helping golfers of all ages and skill levels improve.